We want to extend the reach of love in Northern Colorado. Rev. Gretchen Haley and Diana McLean kicked off the partnership between Greeley and Foothill churches and explored the theology of a good partnership. I highly recommend their podcast, The Promise of Partnership. As we began our year together, the lay and clergy leaders gathered to create a covenant to document what we each understood as the promises we were making in their partnership. To do this, we went around a circle, with each person getting a chance to say one response to the question “What do you think we are doing together?” Responses were invited without comment or dialogue until everyone felt they had said everything they could think of. Then, we talked through what we each meant by those statements, and fleshed out precisely what we hoped for in the coming year. From these hopes, we created the following covenant. As you can see, it includes both practical and visionary promises. It is understood as an evolving document that we will return to again and again throughout this experimental year. To grow the Unitarian Universalist faith and strengthen each of our congregations and our impact, growing in openness to new possibilities and claiming a broader vision. To utilize and contribute to the resources of the Unitarian Universalist Association, including providing input about our experiences so that we may learn from and benefit others who are engaging in similar experiments. To form heart-to-heart connections between the ministerial team and congregants as well as across our congregations, creating opportunities for the congregations’ members, lay leaders and staff teams to see one another and build relationship. 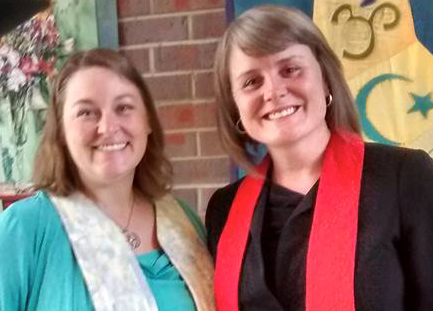 To share three professional ministers who serve as a team in both of our congregations. To roll out our partnership in partnership – respecting the need to build buy-in in each of our congregations before moving forward on initiatives while also discerning when we need to lead our congregations towards leaping ahead to the next opportunity. We will not merge our congregations, but rather we will act as partners, thinking like a “we” on decisions that affect both congregations. We will work from the assumption that our congregations are equal in faith if not in size or in budget. 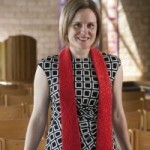 We will acknowledge and value the different gifts and skill sets each of our congregations bring. And we will “date” so that we might see if we “fall in love” – which means we will pace ourselves. To remain flexible and to keep a mindset of “experimentation,” assuming good intent and bringing up issues before they become problems, and to create a Partnership Task Force who will help facilitate this communication. To leverage economies of scale across both churches, sharing administrative resources especially in the realm of bookkeeping and membership administration, and professional knowledge, including across our religious education and music ministries. To create patterns of interaction that create in both congregations a sense of relief rather than overwhelm – with the value being that this is a mutually beneficial relationship for both communities in both impact and efficiencies. We acknowledge that we are each new to this partnership and so we assume we will stumble at times and encounter challenges that test the well-intended explicit and implicit promises of this covenant. When these challenges arise, we promise to come together in conversation, and seek help from outside resources as we may need, to seek and offer forgiveness generously, to learn well from our experiences, and to begin again. Rev. 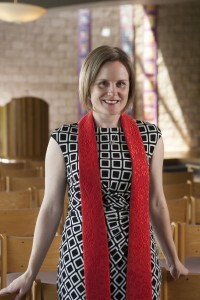 Gretchen Haley is entering her 4th year as the Associate Minister for the Foothills Unitarian Church and as of August, serves as part of the ministry team serving the UU Church of Greeley. She finds great inspiration from Alice Blair Wesley’s 2000 Minns Lectures, The Lay and Liberal Doctrine of the Church: The Spirit and the Promise of Our Covenant.